As of a few days ago, spring is officially here and even though the weather might think otherwise we will soon need to leave behind our winter ensembles and move into more “hot waters”. Fashion designers have already presented their spring/summer 2014 collections so that we could be prepared for spring’s freshness and summer’s warm night breeze. 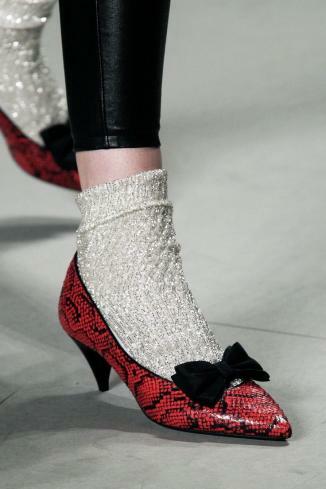 Many women, including myself, when they think about what-to-wear the first thing that pops into their mind is shoes. 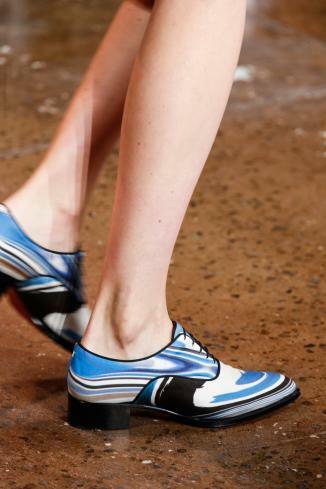 You find the pair of shoes you want to walk on and the rest follows. 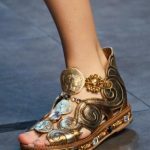 The most accessible and affordable way into new season and fashion trends is shoes. Spring is the time to slowly allow our toes to feel the air and sun again. We had them “locked up” in boots and wellies and now is the time to set them free. 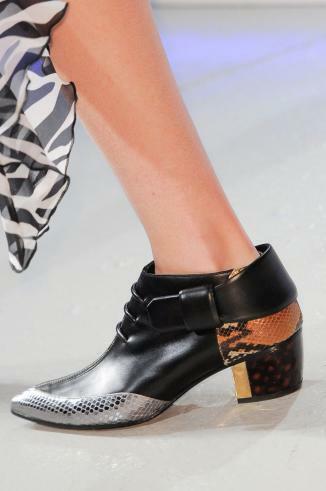 Indulge in a nice pedicure and while you wait for the nailpolish to set, check out this season’s hottest shoe trends. 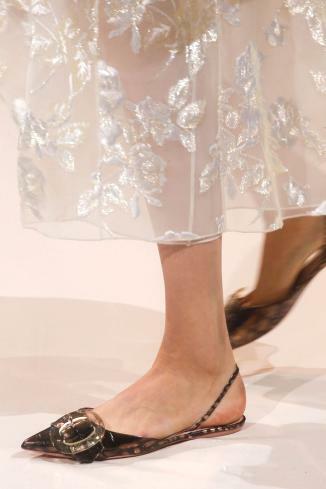 Your toes will curl in anticipation of your next visit to the nearest shoe boutique. They were and still are the all time classic shoe designs for summer. 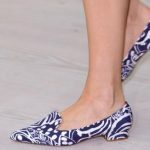 Do not let their massive heels nor their extraordinary wedge heel designs fool you because platforms these season are extra sweet, girly, alluring, roughly slim, artistic and masculine. Yes, boots! 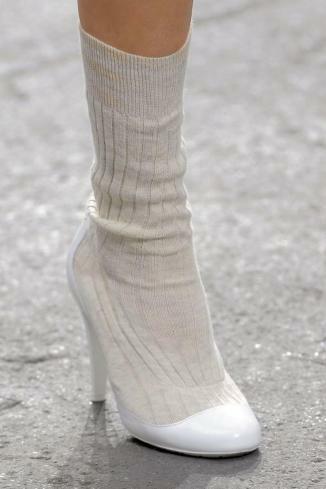 They were a must-have during winter and they still are during spring. 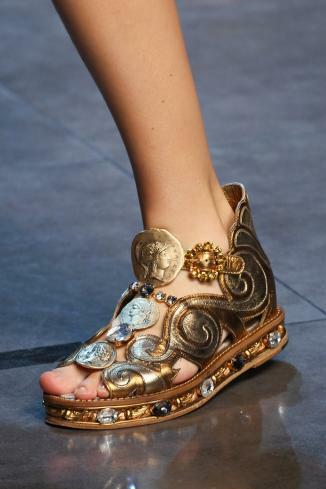 This time around, however, designers showed their romantic side. 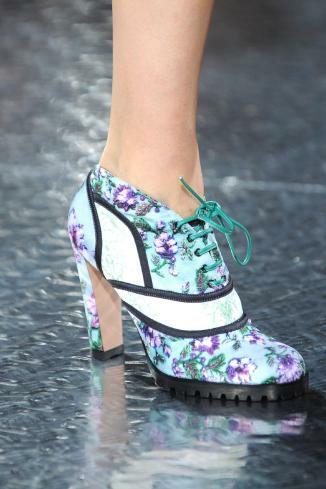 While others clearly got along really well with vinyl or unique sculptural heels, others decided to give them a vintage look my embedding floral patterns on them. And of course the length of the boot is never an obstacle. 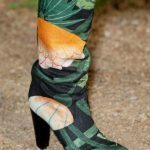 From thigh-high to open-toe knee boots to booties, there is one style you will go for this season. 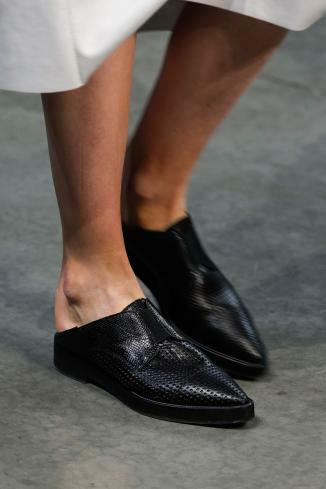 A bit of manly inspiration to a woman’s charm is guaranteed to create an alluring result, whether as a pair of oxford-style medium heel loafers or lace-up flats. 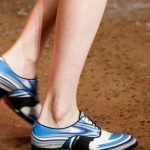 These type of shoes are comfortable and ideal for a professional, yet stylish look, at the office. Still, always remember to put feminine details to your overall outfit by using different texture textiles and colors. 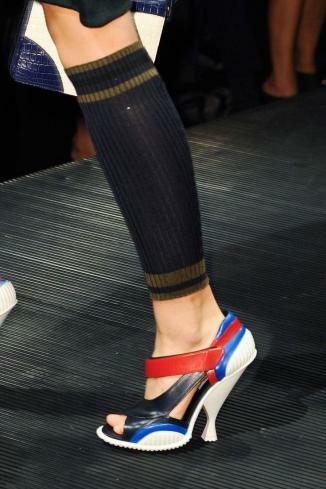 Many designers decided that this season the back of the shoe was no longer necessary and resurfaced the mules. 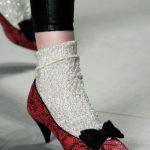 While it can be a difficult shoe to walk on, especially if you are in a hurry and have to walk fast, mules are one of the most feminine shoe designs. Their return has been intorduced in all forms and sizes. 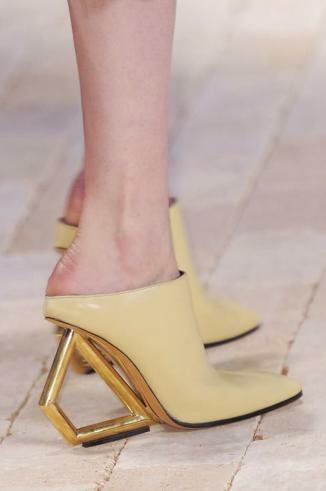 From wooden-heeled eccentric platforms to block or specially sculpted heels to never-fading stiletto heels, mules deserve a place on your shoe wardrobe this season. 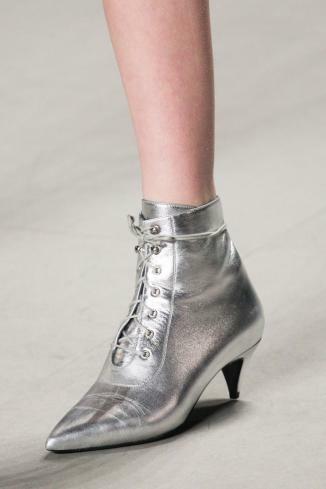 This trend is sure to bring a bit of an edge to the footwear scene. 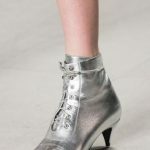 The delicate T-strap design, that was very hot during winter, has been accompanied by a more strict cuff. 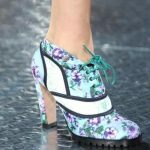 Flowers, bow-ties, straps, animal prints, floral designs, metallics, transparent materials, stilettos or chunky heels are only some of the styles you will come across. 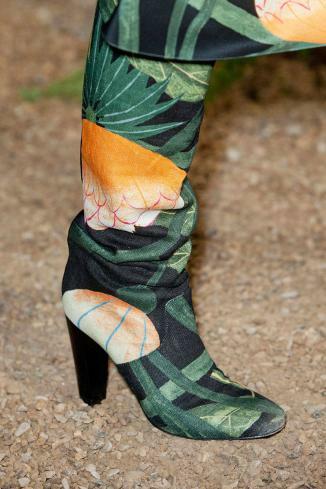 Pair them with a mini-skirt and your summer is going to be really hot. 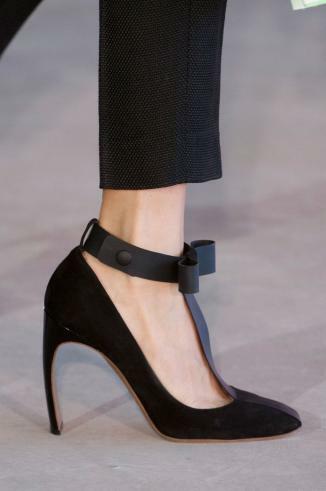 The only drawback they have is that you need to have a slim ankle, otherwise they can be really unflattering. 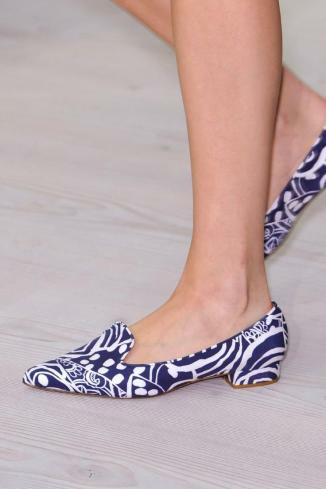 Pointy toe flats and stilettos are going to become a real hit, fashion editors believe. 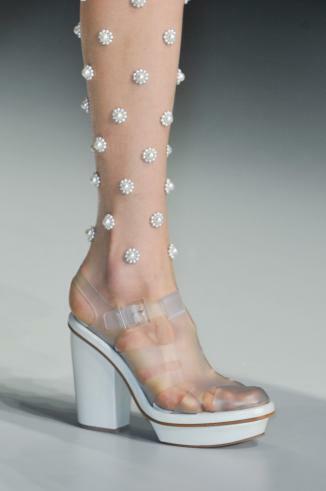 The thuth is that they are really cool in their mini heels, extremely attractive in their high heel stiletto heels and really futuristic in their flat version with transparent details. You can resist to that? A Pair of $12,500 Jeans?